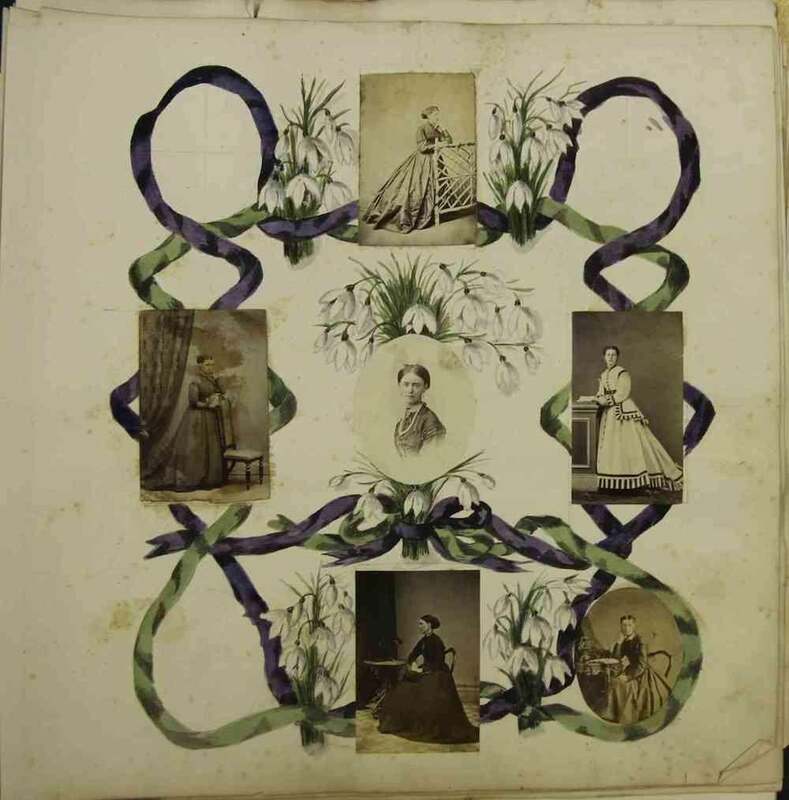 History of photo albums: Beautifully illustrated Victorian photo album. 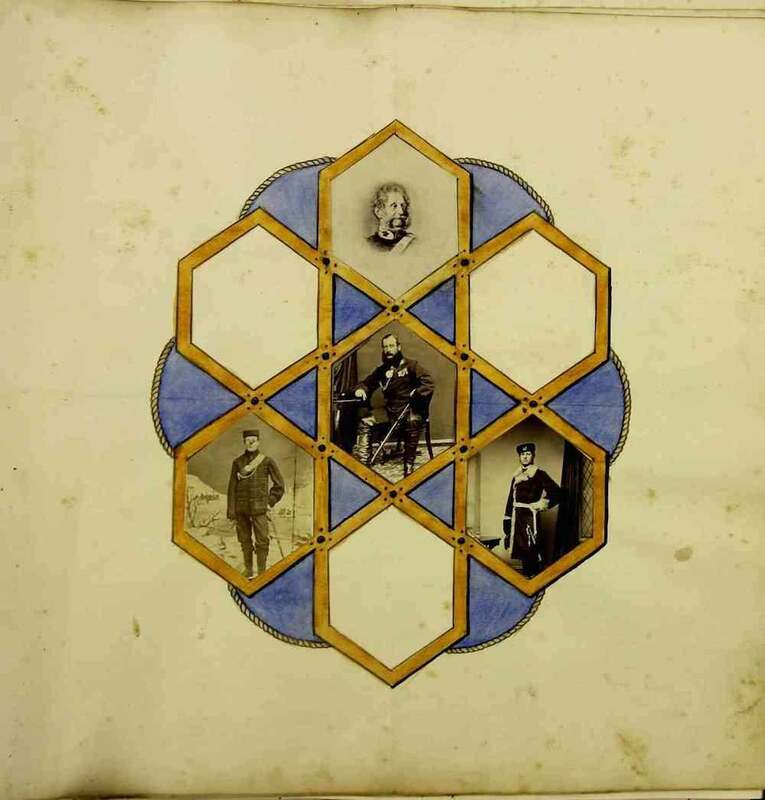 This early photo album—made around 1862, according to the date found on one page—has been illustrated in a style similar to the illumination of a medieval manuscript, with curlicues and designs surrounding each image. The result is a series of gorgeous collages. 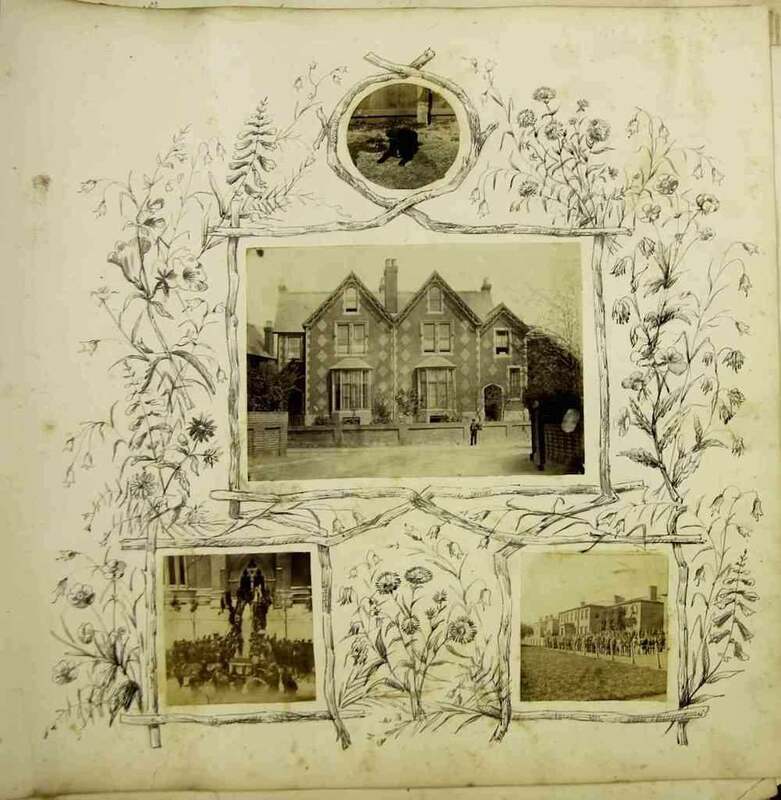 The book these pages came from would be a very early example of a photo album. 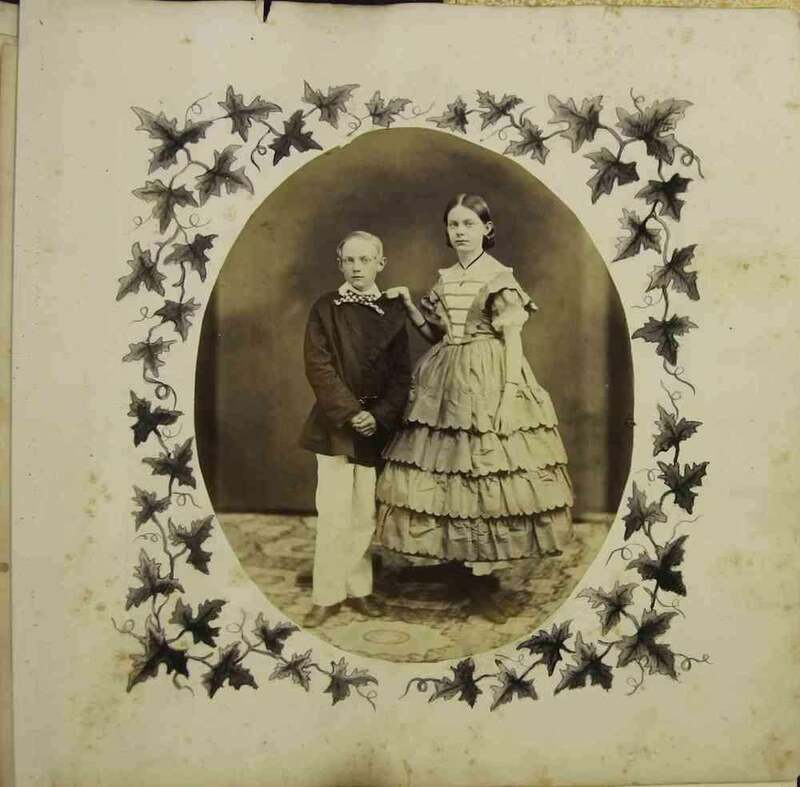 The oldest specimens in the collection of the Library of Congress, for example, are from the 1850s. 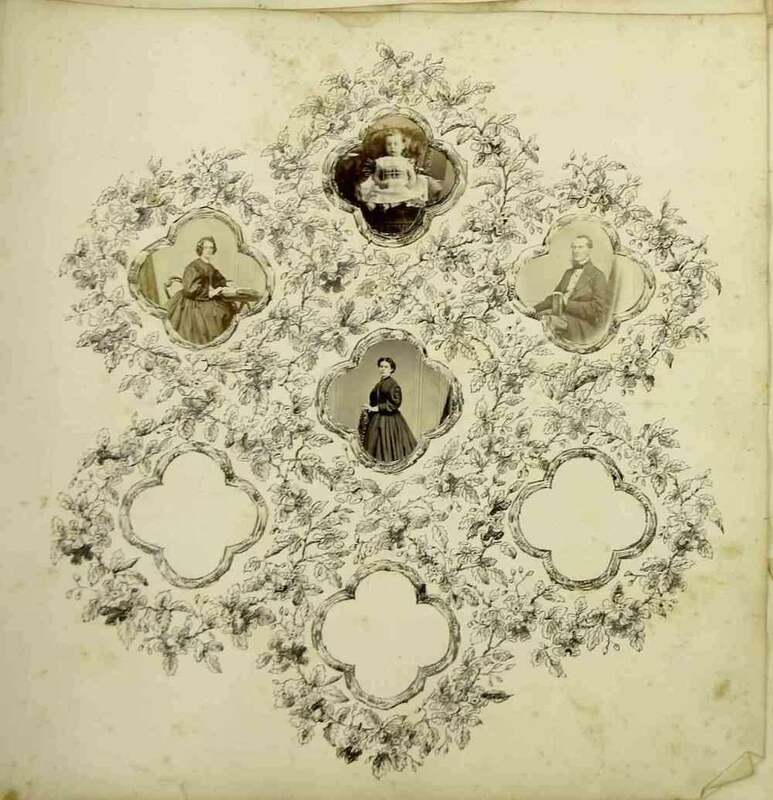 Early family photo albums were often put on display, and the pages of this one seem perfect for that purpose. 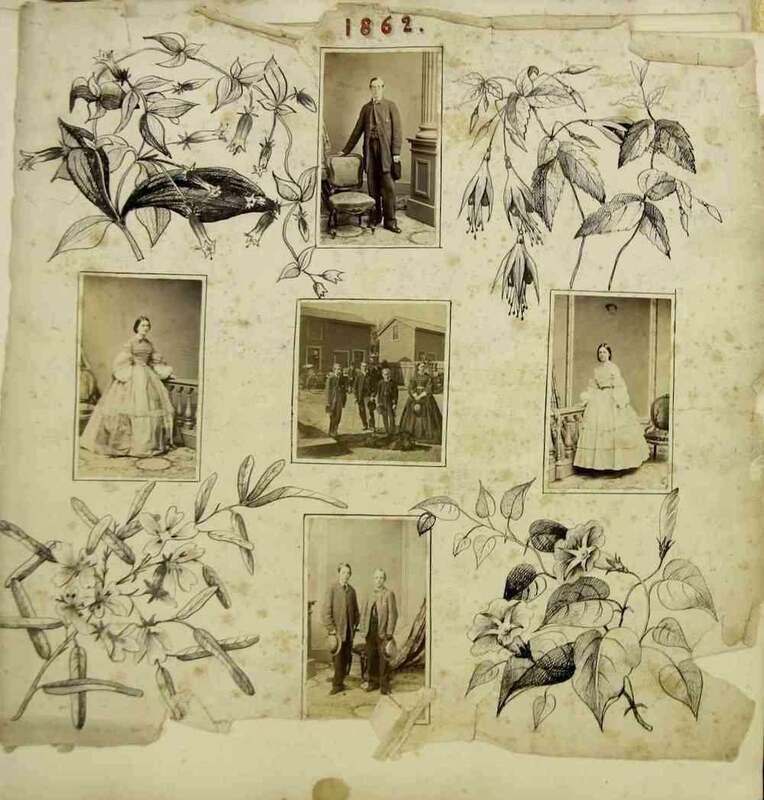 The names of the artists who illustrated the pages, and of the family represented in the album, have been lost. 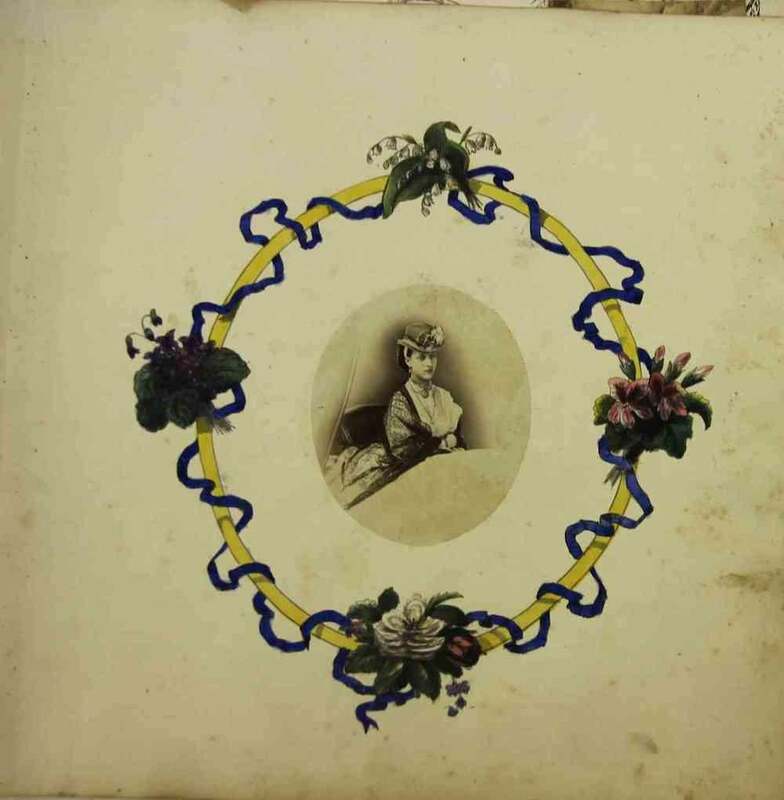 My theory is that the illustrations were done by a female member of the family, who would have been exercising the skills in watercolor and lettering that were often taught to genteel women in the 19th century. 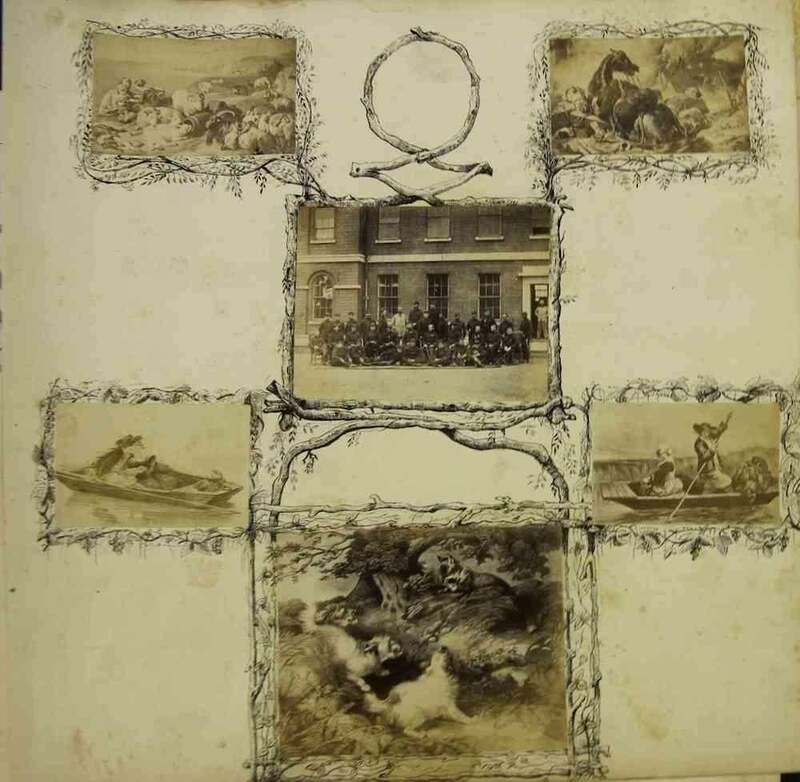 I found this album on the blog of the bookseller and writer John Ptak.